As the year-end lists begin to dwindle, fresh snow continues to fall on rooftops, and those Christmas trees lie bare in your apartment silently coming to the realization their days are truly numbered as their gift boxed companions now are dispersed among family and friends, what do we have to look forward to after the New Year? January freezes? Frostbite? Oh god, I have to file taxes? Will my car start this morning? Toss those concerns out the window, my frigid friends! It’s tabula rasa time in the music world and The Beeping in Our Hearts by Cincinnati’s Koala Fires are first up on January 2nd! The cuddly and heartwarming Koala Fires was a Cincinnati Entertainment Awards’ “2008 New Artist of the Year” nominee and spent 2009 honing in, tightening up and now calumniating with this release. While Weezer continues their annual march of disappointment since Pinkerton, Koala Fires offers a glimpse of what they could have been circa 2010. The anxious protagonist, jousting between hopes and reality, with the songs becoming shelter from the storm. “This is a song about my bones. They seem so strong when I look at my writing hand, but the words they write are weary…” Yet these are not the stories of troubled youth, or the overtired genre of youth vs. parents, but “mid-life” self-questioning, self-reflection compared to instilled idealism. Brief, if you’ve ever tried to compare where you are and where you wish to be, that feeling is enclosed between the sleeves of this album. Matt Mooney draws best upon the comparisons to Rivers Cuomo. His vocals are nasal, lending a sort of tonal struggle that befits these explorations. They are also adaptable, becoming whispers of withdrawn as with the title track. 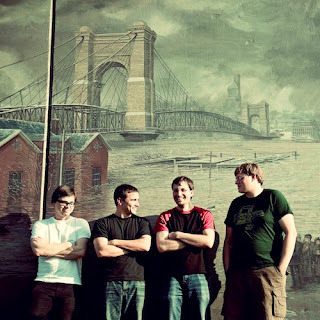 Koala Fires works best when these varying gradients are utilized, tugging and differentiating the indie rock offerings. These moments are skewed towards the end, leaving the beginning figuratively barreling down a hill at near full speed. Inside these tracks, you find the exceptional “All The World’s Been Staged” and “Thunderbugs.” The latter is imbued with infectious pop riffs, provoking more dance and lightening up the album more than Colorado balloons. It enlivens the vocals and heavy, anxious lyricism, with auditory optimism. Cinci’s Koala Fires used 2009 to pull those loose strings taut, and provide 2010 with a sturdy foundation to branch off in the Midwest and beyond. The album may lag from time to time, yet facets like the drumming off “Forever Our Heads Will Burn” and the penultimate title track and finale, “Burn It Down” indicate they have the formula down and are confident enough to lead scouting expeditions with their sound. If the post-“Pinkerton” époque has been a disappointment, or you have those gift cards in your pocket, do yourself a favor and let The Beeping in Our Hearts defibrillate your New Year.